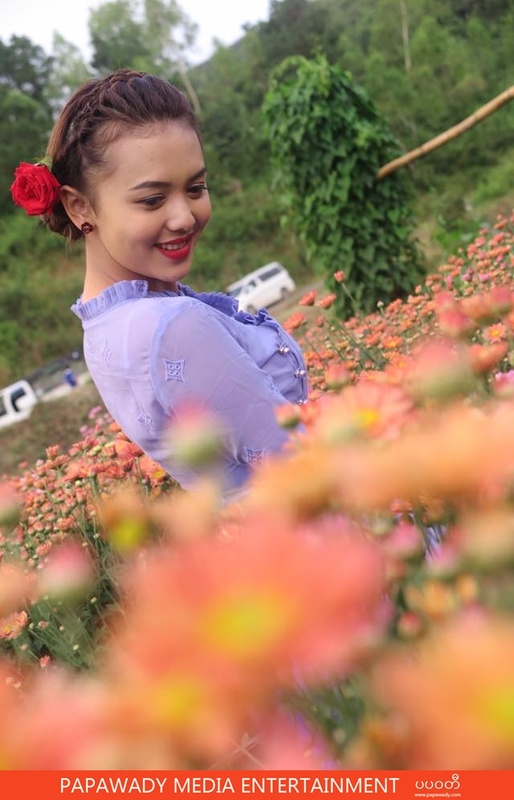 Myanmar Cute and Young Actress Shwe Mhone Yati tells her latest activity from movie shooting. She looks so beautiful in sky blue color myanmar traditional dress with beautiful colorful flowers. Amazing background with mountains and blue sky and she looks so cute in this photoshoot.